Global warming is said to be making winters colder with more outbursts of cold air from the Arctic. Last winter the so-called ‘Beast from the East’ tightened its grip on the British Isles, with snow, wind and temperatures plummeting to as low as -15C. Winter only officially ends on 28th February 2019 and freezing winds threaten to push thermometers below freezing during January and February. The winter period presents a challenging period for the roofing sector and whether it’s wind, snow, rain or frost, a roof is on the front-line every day, so it pays to specify a waterproofing material which can withstand whatever Mother Nature throws at it. Wind gives roofs a beating, especially taller structures or those buildings which have more exposed roofing surfaces. Vibration caused by wind can lead to material fatigue and crack formation. Hail and snow can also cause mechanical roof damage, whilst freeze/thaw cycles are a frequent source of breakdown for many roofing materials. Water expands when it freezes and can therefore enlarge cracks. One of the toughest, most durable waterproofing membrane systems available, and one that will withstand our increasingly destructive weather in the long-term, is mastic asphalt. Traditionally consisting of graded limestone aggregate bound together with bitumen, today’s mastic asphalt systems are now manufactured using advanced polymer modified formulations to ensure all the performance characteristics of traditional asphalt systems, with the added benefits of increased flexibility, enhanced handling and sustainability. The Mastic Asphalt Council (MAC) has many examples whereby mastic asphalt has provided effective waterproofing for at least 100 years. A further benefit of mastic asphalt is its ability to be rapidly applied in testing weather conditions. 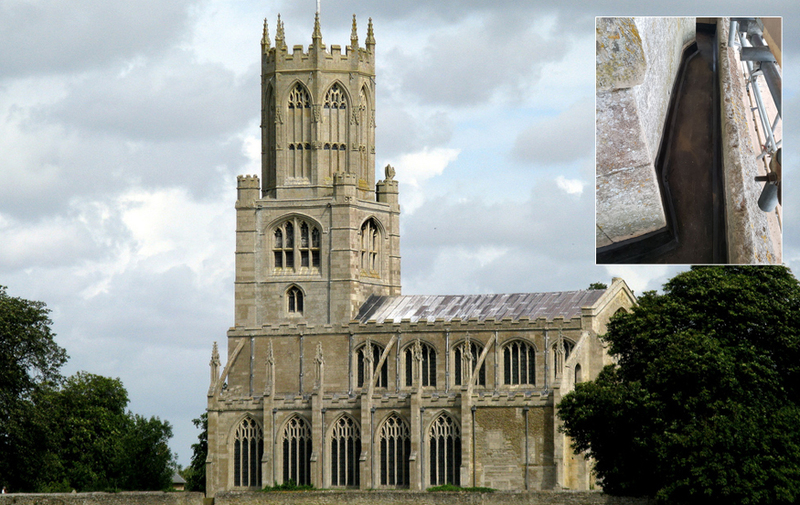 One roofing project which illustrates this is the Church of St Mary and All Saints in Fotheringhay, Peterborough, which was the winner of the MAC Challenge Trophy Award for 2018. Carried out by MAC contractor BCC Asphalt last February during one of the coldest winters on record, the project was fully completed within just 14 days. The church is situated at the top of a hill and the applicators had to contend with extreme wind and very cold temperatures.Wind circled around the church from morning till night and it was an awkward application with severely restricted access, and not much room for the mastic asphalt roofers to manoeuvre in. The Church of St Mary and All Saints is a 15thcentury, Grade I listed building which has been home to a number of significant historical events, including the execution and beheading of Mary, Queen of Scots in 1587. The church roof had never been protected with a roofing system since the structure was first built and the natural stone and concrete substrate were allowing damp and water to penetrate into building. Urgent repairs were required to the roof to prevent further water infiltration and other remedial work was also carried out to the rest of building, such as stonework repairs to the church tower and the replacement of leadwork and timbers on the tower. Over the years, moss had collected in the joints of the concrete on the roof and the concrete was severely water stained and absorbing water. Due to restricted access, the roof had never been maintained since the church was first constructed. The architect involved specified the use of mastic asphalt for the roof refurbishment due to the building’s listed status and the fact that mastic asphalt has an outstanding track record of use in heritage projects such as Westminster Cathedral, St Paul’s Cathedral, the Tower of London and Dover Castle. Due to the church’s listed nature, there were significant challenges in terms of the mastic asphalt application which was carried out at a problematic working height. Four operatives from BCC Asphalt were involved in the roof refurbishment and the only access to the roof for the duration of the contract was two material hoists set in two stages of the scaffolding. One operative was on the ground mixing the mastic asphalt and hoisting it up to the first 50ft gantry and the second access point which was approximately 100ft up at the top of the church tower. Once repairs to the stonework were completed and the existing surface had been cleaned and primed, sheathing felt was installed before two coats of a specially formulated mastic asphalt roofing system were applied, using advanced polymer technology to give the ideal combination of long-term durability, increased fatigue resistance, improved temperature stability and ease of installation. Mastic asphalt was applied at a thickness of 20mm in two coats to existing falls including the church’s perimeter gutter. Two coats of mastic asphalt were also applied at 13mm to the skirting of the stonework, before being painted with solar reflective paint. The building was kept watertight as works progressed and different contours and curves of gutters were expertly matched using mastic asphalt. Due to the tight access to the asphalt gutters, it was extremely challenging for BCC Asphalt to lay the asphalt skirting and complete the detail work. This article featured in the January issue of RCi magazine – click here to view the publication online.